Fred Wulczyn is a Senior Research Fellow. As the director of the Center for State Child Welfare Data, and the architect of Chapin Hall’s Multistate Foster Care Data Archive (FCDA), he has extensive expertise in analyzing administrative data, and in designing tools and databases which enable state administrators to examine and understand key child welfare outcomes. Fred was responsible for the development of the Illinois integrated longitudinal database on children’s services, which has now been in use for over 25 years. These projects have established him as a prominent figure in the field of collecting and leveraging administrative data, to compare child welfare outcomes across agencies and jurisdictions, test the impact of policy and service innovations, and track progress. Fred’s work has focused on defining social problems, developing social policy, and assessing the impact of public investments, all with an eye toward improving the lives of vulnerable children. Marked by an interdisciplinary perspective, his work draws inspiration from disciplines as diverse as mathematics, population biology, sociology, system dynamics, and social work. Fred holds a Ph.D. from the School of Social Service Administration at the University of Chicago. 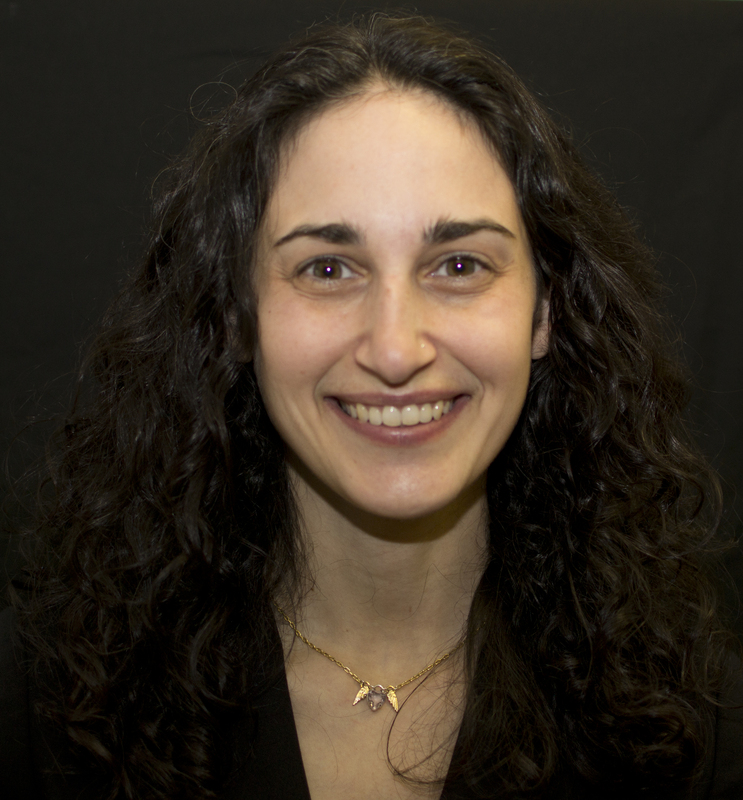 Lily Alpert is a Senior Researcher whose work focuses on research evidence use by child welfare agency administrators and the development of interventions that promote the adoption and diffusion of longitudinal methods in child welfare performance measurement. In addition to her research activities, Lily helps to lead the Center for State Child Welfare Data’s outreach and engagement efforts. In this role she develops training curricula and webinars and works with child welfare agencies to generate evidence about system performance and apply that evidence to the process of improvement. She is an instructor for the Center’s long running Advanced Analytics for Child Welfare Administration seminar and is a developer and instructor for the related cohort-based program EDGE: Evidence Driven Goals and Excellence. Lily received her Ph.D. in Human Development and Family Studies from the University of Connecticut. 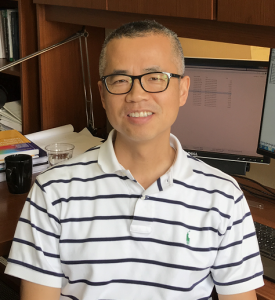 Lijun Chen is a Senior Researcher whose areas of expertise include modeling and analysis of longitudinal and survival data, development of vulnerable children with multiple childhood adversities and development and experience of children involved with the child welfare system. 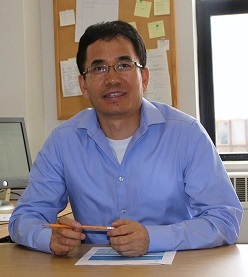 Lijun works on various projects, including a longitudinal analysis of the National Survey of Child and Adolescent Well-Being (NSCAW) to understand the developmental trajectories of children involved in the child welfare system, a cross-national study of child disciplinary practices funded by UNICEF, and a comprehensive study of child well-being in the China based on China Family Panel Studies survey. He also participates in the performance evaluation of foster care agencies and child welfare systems in different states. Lijun holds a Ph.D. in Sociology from the University of Chicago. 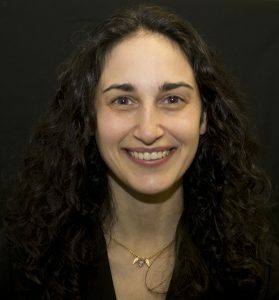 Sara Wolf Feldman is a Senior Researcher who studies the implementation and impact of reform initiatives on key indicators of system performance, with a focus on understanding the at-scale adoption of evidence-based practices in various child welfare contexts, the piloting of experimental practice models, and changes in staffing structures. She is currently the Principal Investigator of two large-scale Title IV-E Waiver Demonstration projects, both of which involve the active dissemination of evaluation findings into the broader practice arena. Sara also has extensive experience working with human service organizations to ensure that practice models and approaches to performance measurement are closely aligned with coherent theories of change. 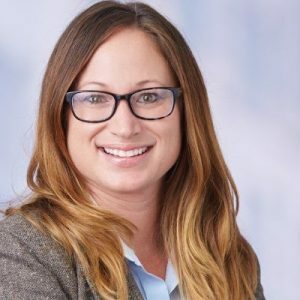 In addition to her research and evaluation activities, Sara serves as one of the instructors for the Data Center’s signature seminar, Advanced Analytics for Child Welfare Administration. 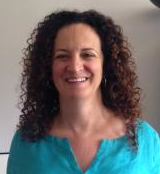 Sara holds a Ph.D. in Social Work from Columbia University. Jennifer Miller Haight is a Policy Fellow who has worked extensively with child welfare agencies in multiple jurisdictions supporting their use of administrative data to more effectively understand their child welfare system dynamics, conduct program evaluation, and facilitate continuous program improvements. She directs the local evaluation for two federally funded demonstration projects involving child welfare involved homeless families and homeless youth. She has been instrumental in assisting public child welfare agencies in the development and implementation of performance-based contracting initiatives. Jennifer has been a designer and instructor for a number of education initiatives designed to promote child welfare managers’ skills in acquiring and using evidence in their planning and decision-making, including Advanced Analytics for Child Welfare Administration and the cohort-based program EDGE: Evidence Driven Goals and Excellence. Jennifer holds a Master of Arts from the State University of New York at Binghamton. 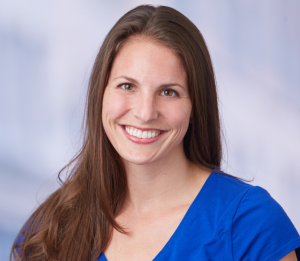 Kristen Brunner Hislop is a Senior Researcher who has broad experience with data analysis, policy analysis, data management, program evaluation, and social serv ice financing. As Project Director of the Multistate Foster Care Data Archive, Kristen coordinates the acquisition and maintenance of Archive data. She manages the development and processing of the state data as well as the maintenance and ongoing development of the Archive database. Kristen also currently has primary analytic responsibility for performance assessment related to the Texas Foster Care Redesign and San Francisco County Performance Based Contracting and has also had primary analytic responsibility for a utilization review performed for a consortium of children’s behavioral health agencies, and for the coordination of data acquisition and development for the New Jersey Core Child Welfare Database project. Kristen holds a Master of Arts in Public Affairs, with concentrations in policy analysis and management of public and nonprofit organizations, from the Humphrey Institute of Public Affairs at the University of Minnesota. Lilian Huang is a Project Assistant who provides support to several projects centered on program evaluation, such as the Title IV-E Waiver project in Tennessee. These projects use administrative data to examine the utilization of out-of-home care, the outcomes of child welfare programs, and the implementation of theories of change. Lilian received her Bachelor of Arts degree in Economics and Political Science from the University of Chicago. Scott Huhr is a Senior Researcher who has broad experience in measuring child agency performance, analyzing the impacts of intervention programs, and constructing various complex predictions models and metrics. Recently, he has been working with child welfare data from multiple states to build longitudinal datasets and conduct statistical analyses that measure child welfare agencies’ impacts and predict child welfare outcomes. Scott is interested in applying quantitative tools to various child welfare, education, and other social policy areas. His area of expertise include: measuring child welfare agency performance, constructing value-added and prediction models, conducting impact analysis and, leveraging Machine Learning. Scott holds a Master of Public Policy from The University of Chicago. 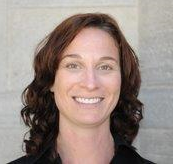 Tracey Lockaby is an Associate Researcher whose area of expertise conducting qualitative data collection and analysis for the purposes of evaluating programs that support children, families, and their communities. Tracey’s current work includes conducting interviews, moderating focus groups, data analysis using ATLAS.ti and NVivo, and writing research findings. Examples of projects she currently works on are: Families Moving Forward, Michigan Performance-based Funding, the Chicago Young Parents Program, and the Pre-K to Kindergarten Transition Project. Tracey holds a Master of Science in Public Health from the University of South Florida. 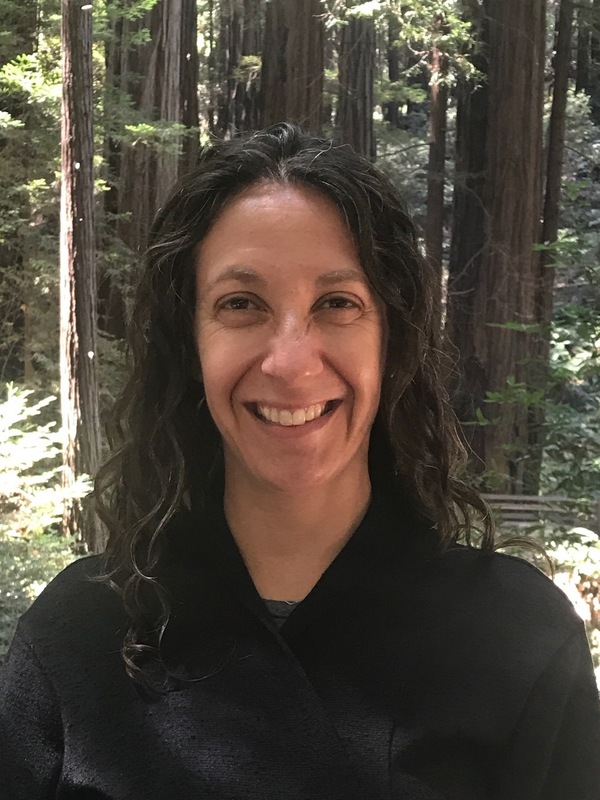 Molly Mayer is an Associate Researcher who conducts qualitative research and quantitative analysis and evaluation of systems that support children, families, and their communities. Her work focuses on child welfare systems, with particular emphasis on the use of longitudinal data to observe state child welfare outcomes, data use and interpretation in a continuous quality improvement context, and larger-scale systems analysis. Her work has also included conducting interviews and focus groups, as well as designing and analyzing surveys for various stakeholders. Molly holds a Master of Arts in Social Service Administration from the University of Chicago. Jamie McClanahan is an Associate Researcher, whose current work focuses on producing and reporting analytic performance measures for the Tennessee Accountability Center established by the Brian A. consent decree. Through her previous work for the court-appointed technical assistance committee and monitor of the Brian A. class action lawsuit in Tennessee, Jamie has 15 years of experience in applying data from longitudinal analytic files and other sources, such as quantitative and qualitative case file reviews, to evaluation of the child welfare system reform efforts in Tennessee. Jamie holds a Master of Social Work from the School of Social Work at the University of Tennessee. 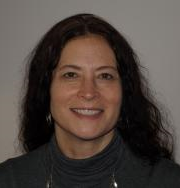 Nancy Neumann is an Associate Researcher who uses her knowledge of SAS programming language to generate longitudinal database structures that summarize children’s experiences in foster care for the Multistate Foster Care Data Archive. In the last 10 years Nancy has helped to organize administrative data for more than 25 states in to the structure of the longitudinal database utilized by the Archive. In addition to creating the longitudinal database, Nancy also creates the data files that are used to populate the FCDA web tool. She has helped other researchers utilize the longitudinal data to evaluate topics such as placement outcomes, trends over time in the utilization of foster care, and demographic shifts in the population of foster children. Nancy also helps to develop the longitudinal data files for the Pennsylvania and New York City Title IV-E Waiver projects. Nancy holds a Bachelor of Science in Mathematics from the University of Nebraska. Britany Orlebeke is a Senior Researcher and one of Chapin Hall’s research experts on program evaluation and analytics education. 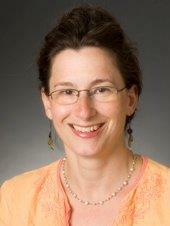 She also has extensive experience developing longitudinal outcomes frameworks for performance measurement. Britany serves as one of the lead researchers on the Colorado and Pennsylvania federal Title IV-E Waiver evaluations. In 2007, Britany designed the Center for State Child Welfare Data’s Advanced Analytics for Child Welfare Administration seminar for child welfare policymakers, and the curriculum has been used as the foundation of the Center’s now extensive analytics education program. Recently, Britany was the Principal Investigator for a four-year evaluation of a program of training and supervision for attorneys representing children in child welfare proceedings. Britany holds a Master of Public Policy from the Ford School of Public Policy at the University of Michigan. Kerry Price is a Researcher whose work is currently focused on helping states use administrative and qualitative data to understand performance over time. She plays a lead role in Chapin Hall’s collection and analysis of time use data which can be used to analyze child level costs related to child welfare programs as well as work related to the development of interventions that promote the use of research evidence in practice. She is currently working on the Tennessee and NYC Title IV-E Waiver Demonstration projects where she collects and analyzes both qualitative and quantitative data. Kerry holds a Master of Arts in Forensic Psychology from John Jay College of Criminal Justice. Emily Rhodes is an Associate Researcher whose work currently focuses on helping public and private child welfare agencies use administrative data to assess and improve child welfare systems. Emily has experience with quantitative and qualitative program evaluation of child welfare, youth violence prevention, and early education programs. She is currently studying a federally funded demonstration of supportive housing for families involved in the child welfare system, and conducting a cost study of a Title IV-E Waiver for alternative child welfare services. Emily holds a Bachelor in Public Policy Studies and a Master in Public Policy from the University of Chicago. Florie Schmits is a Project Coordinator who works on the development, design, and implementation of the marketing and communications strategy for the Center for State Child Welfare Data. She communicates new research findings to a range of stakeholders and measures the effectiveness of the Data Center’s outreach and engagement activities. In addition, Florie supports the development of research proposals and publications and carries out quantitative data analysis using administrative data for multiple projects. As a project coordinator, she ensures the efficient operations of the Data Center’s research team. She received her Master of Science in Policy, Communications and Organization from the VU University Amsterdam, the Netherlands. 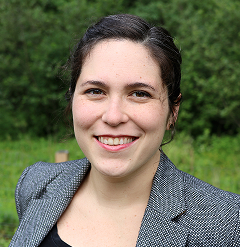 Devon Syrjanen is a Researcher whose work focuses on the evaluation of program processes and implementation, cross-system coordination, and the use of administrative data to analyze child welfare system outcomes. Devon is currently working with the Illinois Department of Children and Family Services (DCFS) to evaluate the efforts of their Title IV-E Birth through Three Waiver Demonstration Project and Early Childhood Court Team Project. She is also contributing to the Tennessee Title IV-E Waiver Demonstration Project, analyzing Tennessee child welfare and private provider data, and processing the Tennessee Baseline Target and Actual reports. Devon’s work examines the analytic dynamics of the child welfare system in order to improve overall practices. Devon earned her Ph.D. in Human Services from Capella University in Minneapolis. 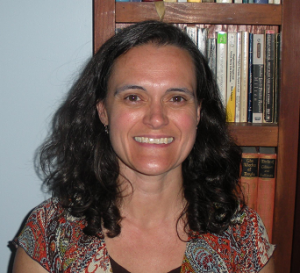 Laura Packard Tucker is an Associate Researcher whose work focuses on applying quantitative and qualitative research methods to policy research in the field of child welfare. Her research is centered on longitudinal data to understand and monitor states’ child welfare outcomes, and the fiscal effects of child welfare policy, as well as the development of administrative data to support program evaluation in a continuous quality improvement framework. In addition to her research activities, she is an instructor for the Center’s Advanced Analytics for Child Welfare Administration seminar and has had the opportunity to conduct the course in several jurisdictions across the country. 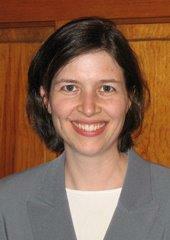 Laura holds a Master in Financial Analysis from Portland State University. Tami Walker is an Associate Researcher whose work focuses primarily on the evaluation of the Tennessee Title IV-E Waiver. In this context, Ta mi collects field data, conducts analysis, and disseminates performance evidence to stakeholders. In addition to her evaluation work, Tami supports several other projects in Tennessee, overseeing the implementation of the CAT-MH, Computerized Adaptive Testing- Mental Health, through a pilot with the juvenile justice population and providing technical assistance for the Time to Permanency Partnership project, which is designed to increase collaboration between the Department and private providers. Additionally, Tami is part of the team that develops and delivers EDGE: Evidence Driven Goals and Excellence, a cohort-based analytics curriculum designed for child welfare managers working in the field. 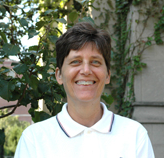 Tami has a Master of Science in Social Work from the University of Tennessee. Jianyu Wang is a senior Oracle Database Administrator who works primarily as a data analyst and programmer. 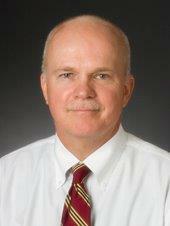 Since 2002, he has worked on numerous projects pertaining to foster care, residential care, and child maltreatment. He has designed relational databases and websites for The Center for State Child Welfare Data, a three tiered online data processing system serving over 25 states. His current work focuses on improving the online system to support dynamic and remote processing and analysis. More recently, he has been exploring the relevance of Machine Learning to the Data Center projects and priorities. 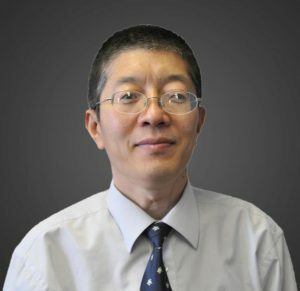 Jianyu holds a Ph.D. in Philosophy from The Ohio State University. 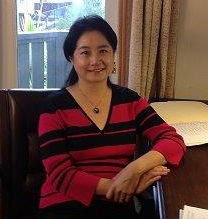 Jinjin Zhang is a Researcher with over 15 years of experience working as a biostatistician and research analyst in the field of children’s mental health and well-being. In her current work she conducts empirical research using administrative data to help child welfare agencies understand the outcomes they achieve. 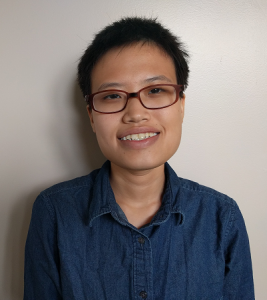 Jinjin mainly works with the State of Tennessee and Mississippi where she uses SAS programming to develop analytic files that can be used to analyze the administrative data. She is responsible for processing quarterly and annual updates of Tennessee’s files for the Multistate Foster Care Data Archive. 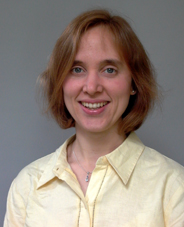 Her areas of expertise include statistical modeling and programming techniques, and working with longitudinal data for administrative and complex surveys. Jinjin holds a Master of Science in Health Care Research from the University of Calgary, Canada, and a Master of Arts in Cultural Anthropology from University of Kanazawa, Japan.